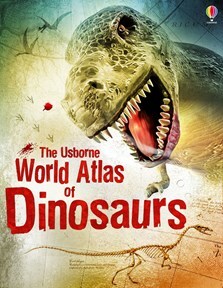 Explore the amazing world of dinosaurs with this exciting atlas, showing which dinosaurs lived in different parts of the world, including detailed maps showing where dinosaur fossils have been discovered. Readers can explore the world’s biggest and best fossil sites, find out about famous dinosaur hunters and visit Jurassic graveyards. Packed with facts and information about all the different species, as well as fossil photographs and striking illustrations. Includes internet links to recommended websites with news of latest discoveries, virtual digs and reconstructions.